Stop and ask any one person what they visualize when they think of a ‘yogi’. You’d probably get a handful of oversimplified answers like ‘zen’ or ‘peaceful’. They might even gesture a praying motion with their hands and say with a serene demeanor, ‘Namaste’. Take a snapshot of a yogi's life and what you’ll actually find is what every other person faces each day: a constant juggle of life’s demand. The never-ending to-do list is as real as anyone else’s, with yoga somewhere amidst countless of other priorities. So, you’ve managed to carve out an hour of a yoga the other day and you feel amazing. Your savasana was as revitalizing as always, and you continue on your day wondering: Can I maintain this calm state of mind? Is the euphoria of savasana limited to the last moments of my yoga practice? Returning to the stillness you so effortlessly cultivated those last 5 minutes of your practice isn’t as difficult (and time-consuming) as it may seem. Meditation is an effective tool that can be practiced literally anywhere and anytime. At any given moment, you can create space and re-create you own mini-savasana experience. Whether you have 1 minute, 5 minutes, or only a mere 7-10 minutes to put aside, these micro-meditations will help nourish a rejuvenating sense of calm throughout your day. How many times have your yoga sessions ended in tears full of gratitude? Personally, I’ve lost count. I don’t know what it is, but I’ve laid in so many savasanas feeling more grateful than ever before. This feeling of being blessed, loved, and lucky to be alive is one that seems to always uplift me! And it’s one that can be produced in 60 seconds or less. 1. Inhale deeply and exhale, finding a comfortable upright posture where ever you are seated. Take out your timer and set it to 1 minute. 2. Scan your surroundings and without over thinking it, choose one thing you see in front of you that you are grateful for. This can be literally anything! The trees for providing you oxygen, the clothes on your back, the food in front of you, your best friend sitting across the table from you, your partner, your SELF, anything at all. 3. For the remainder of the minute, close your eyes and hold the image of what you feel gratitude towards in your mind. Notice your heart center generating warmth and love towards this image. Inhale, try to visualize the image more vividly. Exhale, allow the warmth to intensify. Repeat this 3 - 5 times. Tip: This practice often leaves the meditator feeling so good, they extend their 60 seconds of appreciation into 3 or 4 minutes! Give yourself an extra minute or two and see how powerful gratitude can be! There is something about a fiery, sweaty flow or deep restorative stretch that leaves me ready to take on the world. Fearlessness can be conjured up in a mere 5 minutes. Stop what you are doing and follow these few steps to ignite confidence from within. 1. Take a deep inhale, filling the lowest part of your belly. On your exhale, roll your shoulders up to your ears and down your back, creating room for your heart center to expand. 2. Sitting tall, continue this deep belly breath. 3. On your inhale, imagine yourself breathing in negative feelings, such as inadequacy or low self-esteem, as a dark smog. Right before you exhale, visualize this smog of negativity transforming into a beaming, golden light of positive qualities, like self-worth and fearlessness. 4. Exhale, envision yourself in front of you, filling up with this fierce, courageous energy. Repeat this as many times as possible in 5 minutes, taking your time with each breath. Tip: I know, it sounds a little confusing, right? ‘You want me to inhale the bad, and exhale the good?’ The power of this practice lies in the transferring of energy onto oneself. It’s as if each time you breathe, you strip away the negative qualities that don’t serve you and gift yourself the vitality of fearlessness and grace. In every yoga class, I teach, I always instruct my students to return to the breath. The breath is such a crucial part of any yoga practice and shouldn’t be overlooked. When we move through our day, we may find that we hardly breathe to our fullest capacity. You will notice in this last meditation when you become fully aware of each inhale and exhale, stillness begins to feel second nature. 1. Find an easy, upright posture where your spine feels long, but not rigid. Allow your chin to drop a centimeter towards your collarbone. Gently rest your hands on your knees, thighs or in your lap. Soften your gaze, not staring too intently at anything. 2. Start the timer for 7-10 minutes. Immediately bring attention to your breathing. Don’t change it just yet but notice how it is. 3. After a few moments, begin to slow down each inhale, allowing the breath to fill your entire body. As you exhale, bring your awareness back to the present moment, letting go of any thoughts or feelings that may arise throughout the meditation. Possibly find the tiniest of space between your breaths, where thoughts have dissolved and all that is left is you, your body, and your breath. Repeat. Tip: Don’t worry. If you feel like nothing is happening, just keep breathing. If you feel like something is happening, just keep breathing. This practice isn’t about contriving some experience that’s outside of yourself. Just breath and stillness will uncover itself naturally. The best part about these micro-meditations is that they are entirely at your disposal to use whenever you need. When you feel a lack of inspiration, but can’t fit another flow in until next week, take 5 minutes to ignite yourself with the spark of fearlessness. If you are frustrated with a loved one but don’t have time to whip out your yoga mat, cultivate gratitude for a minute or two. And if any point, if you yearn for stillness... just simply breathe, returning to that calm state of mind that knows no boundaries of time. 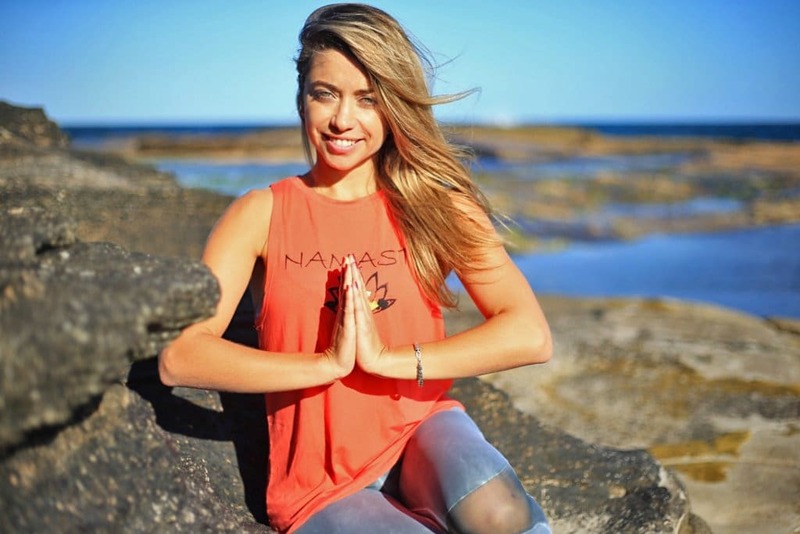 Desirae Monique, aka Woke Bear, is a yoga and meditation instructor currently living and teaching in Melbourne. She received her RYT-500 certification and B.A. in Traditional Eastern Arts from Naropa University in Boulder, CO. Desirae is now completing her Masters in Buddhist Studies. 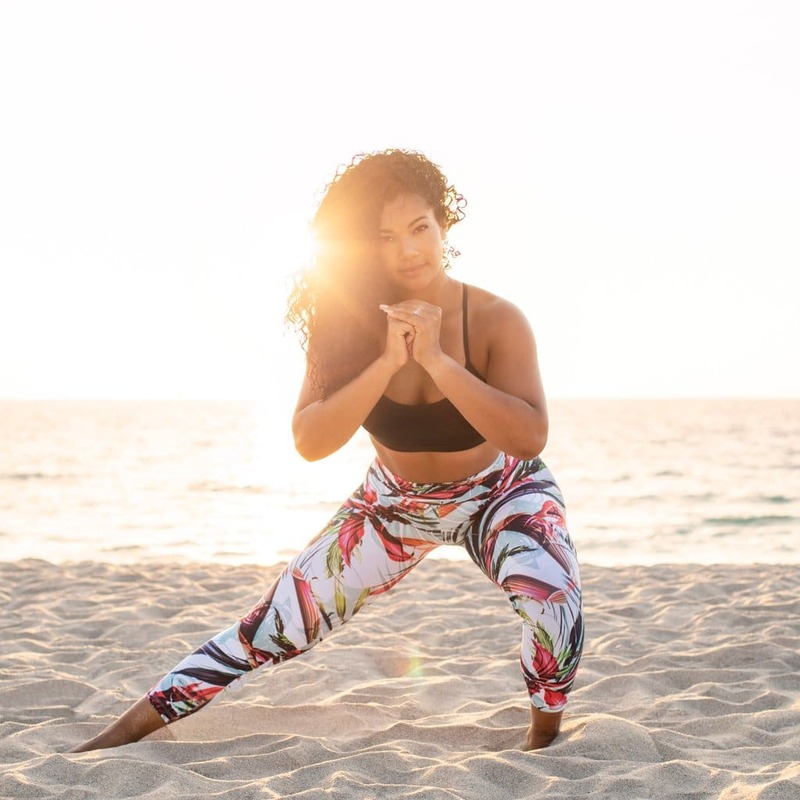 Passionate about mindfulness and fitness, she hopes to inspire others to become the best version of themselves in every way possible! You can find her on Instagram and Medium.